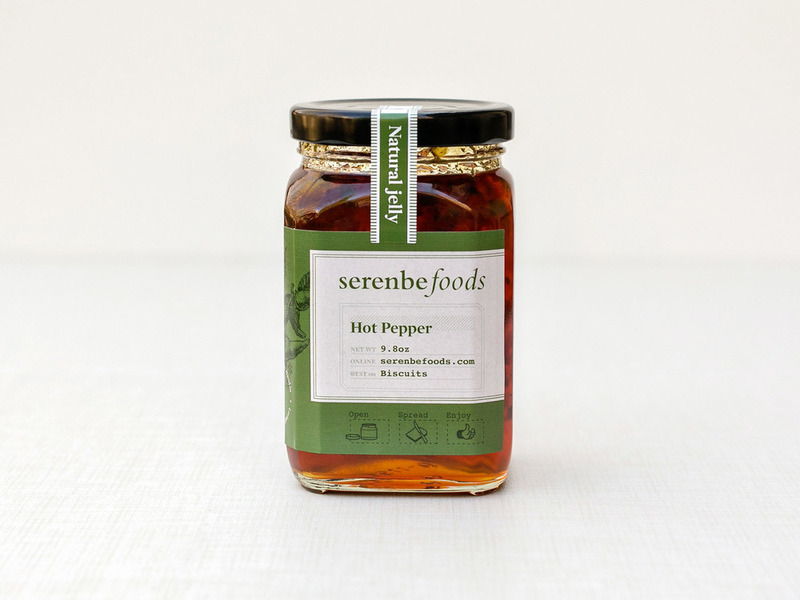 Logo design, visual identity and branding design and packaging design for Serenbe Foods line of all natural jams, jellies, and pickled foods by freelance graphic designer Russell Shaw. About the Project: Serenbe Foods evolved out of the culinary history and agricultural roots of Serenbe – a community south of Atlanta where people live, work, learn, and play in celebration of life’s beauty and in connection with nature. Serenbe Foods believes in friends, family, farmers, and good food created by good people with pure ingredients and intentions. Having served as consulting art director for the overall Serenbe brand for a year, I was delighted when they approached me to design the brand and packaging for this new venture of jams, jellies, and pickled goods. 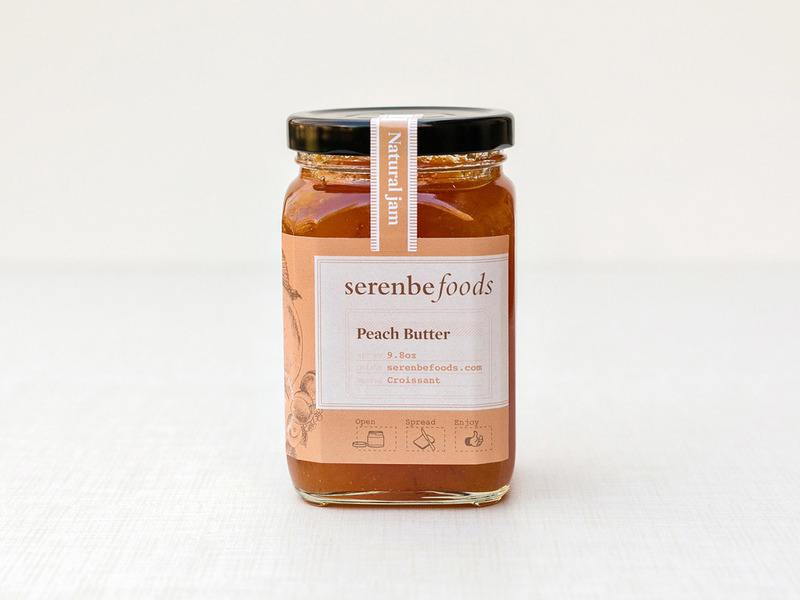 About the Design: Serenbe Foods is an outgrowth of the Serenbe brand, so the logo created uses the basic Serenbe wordmark, plus "foods" in italics from the same family in order to keep a cohesive architecture that holds on to Serenbe's brand equity. Each product has its own color palette based on the contents of the jar, as well as a unique, hand-drawn illustration on the front label – drawings of honey flowers, hot peppers, blueberries, and more. The front label slightly wraps the side, so that the brand and product name are front and center on a shelf. The back label is smaller, and features ingredients and a product description. A separate sticker wraps from the top of the jar's lid to the front, indicating freshness when unbroken, while also allowing the branding to be visible when viewed from above in a case, and featuring the "Natural" message that lets consumers know these products are full of only good things. Product Photographer: All product photography by Jessica Ashley (J Ashley Photography) and is copyright of Serenbe Foods, except where noted otherwise.